Since experiencing this issue have you tried rebooting your Core machine? Can you share a screenshot of what you’re seeing with the duplicates? 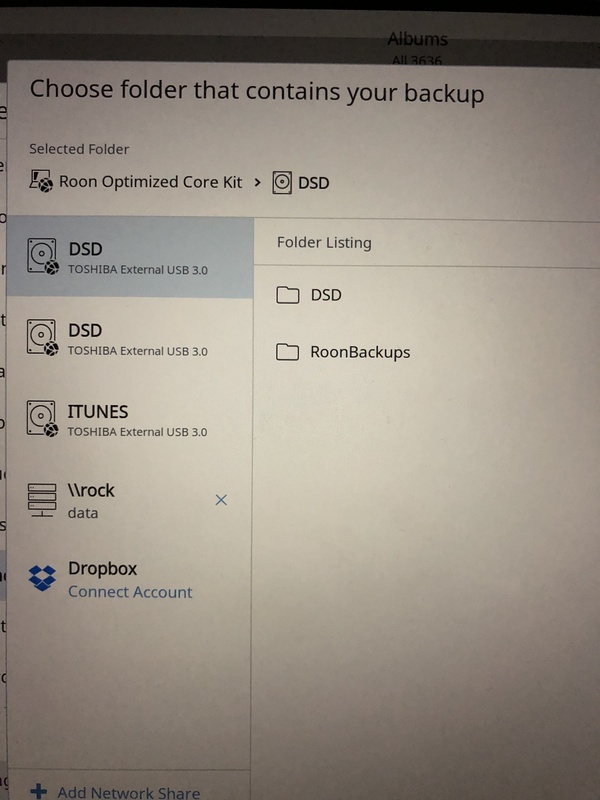 Just a side comment, you should not create Roon backups in watched Storage Drive directories, so, make sure the directory you are using for Roon Backups is not watched by Roon as a music storage location. Is this drive partitioned? How does it appear if it’s connected to the Mac directly? When you disconnect the drive do both items disappear? Try disconnecting the drive, power cycling the Core, and then connecting the drive once more and see if the same behavior occurs.